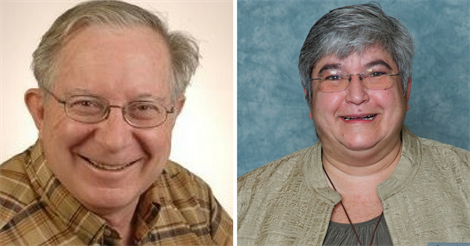 The American Massage Therapy Association® (AMTA®) congratulates Glenn M. Hymel and Cynthia Ribeiro as the newest recipients of its Dianne Polseno Lifetime Achievement Award and the Jerome Perlinski Teacher of the Year Award. Glenn M. Hymel, EdD, LMT, is Professor Emeritus and former Chair of the Department of Psychological Sciences at Loyola University New Orleans. His areas of specialization include educational psychology, research & statistics, personal adjustment/stress management, positive psychology, and philosophical psychology, and complementary & integrative healthcare (CIH) as a mediator for health psychology and the manual therapy professions. Dr. Hymel earned his bachelor’s and master’s degrees from Loyola University New Orleans and his doctorate from the University of New Orleans. Dr. Hymel is the Founding Executive Editor of the International Journal of Therapeutic Massage & Bodywork (2010–2012), Associate Editor of the Journal of Bodywork & Movement Therapies (2007–2015), and an Editorial Board member of the Journal of Massage Science (2009 – present). Glenn is a graduate of the Blue Cliff School of Therapeutic Massage in Metairie, Louisiana and was the 2011 recipient of the AMTA National Distinguished Service award, as well as the Massage Therapy Foundation’s Distinguished Service Award for Visionary Leadership for his 11 years of service. His 2005 publication of his textbook Research Methods for Massage & Holistic Therapies is an important contribution to the profession. Cynthia Ribeiro is the ANMT Manager & Education Specialist and an instructor at the National Holistic Institute in Emeryville, California. She came to the U.S. from Brazil, where she earned an undergraduate degree in Physical Education and studied Surgical Nursing. Once in the U. S., she graduated from two massage school programs. She later founded and was the initial owner of Western Institute of Neuromuscular Massage Therapy. In 2003, she was appointed Honorary Clinical Professor at the University of California-Irvine Medical School. Cynthia was President of AMTA in 2012-13. In a recommendation for the award, Cynthia is described as having a ‘heart-commitment’ indelibly tied to “the never-ending energy, the wisdom, and the unfaltering commitment to ‘the student’, whomever and wherever she finds them”. In October 2012, AMTA announced the creation of this Lifetime Achievement Award in the name of the late Dianne Polseno, because she was such an inspiration to educators, students and practitioners over her lifetime. The award is to honor excellence for a person’s body of work in the advancement of massage therapy education. Dr. Hymel is the fourth recipient of this award. 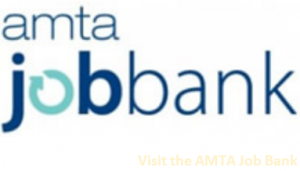 Each year, AMTA presents Teacher of the Year Award to an instructor in an AMTA member school who demonstrates exceptional teaching abilities and a commitment to high standards of education in massage therapy. This award honors the memory of Jerome Perlinski, an extraordinary educator and much loved leader. Hymel and Ribeiro will receive their awards at the AMTA 2017 National Convention in Pasadena, California.